Are you one of those people who book at chain hotels? If so you could be missing out on a lot of local flavor. 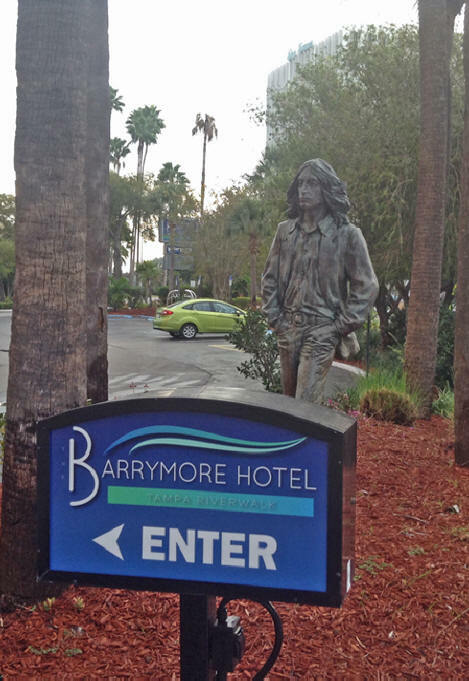 Barrymore Hotel in Tampa is a perfect example. 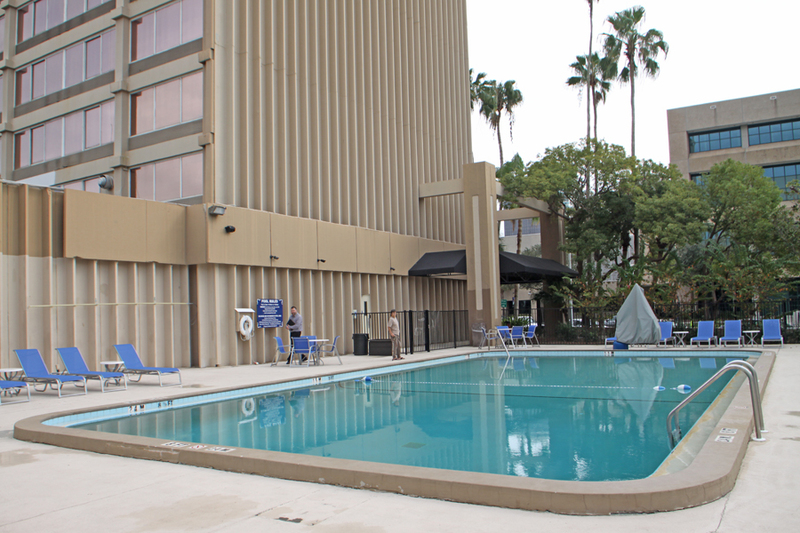 Once part of a chain, this boutique hotel in Tampa's Downtown River Arts District, is a unique cultural experience not just a place to lay your head. The Barrymore is right next to the Patel Conservatory and the David A. Straz Jr. Center for the Performing Arts, one of the nation's top theater facilities. The Barrymore's romance with the arts begins outside. As you approach the hotel, the grounds are a mini-gallery. A life sized stature of John Lennon greets you as you enter the driveway. 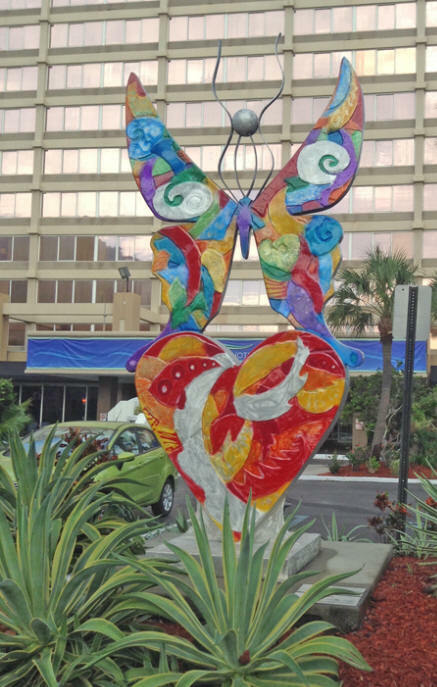 A sculpture called Rebirth, a colorful butterfly perched atop a heart, perches near the front entrance. It's by Clayton Swartz and won first place in Tampa's Art Loud sculpture project for downtown Tampa. 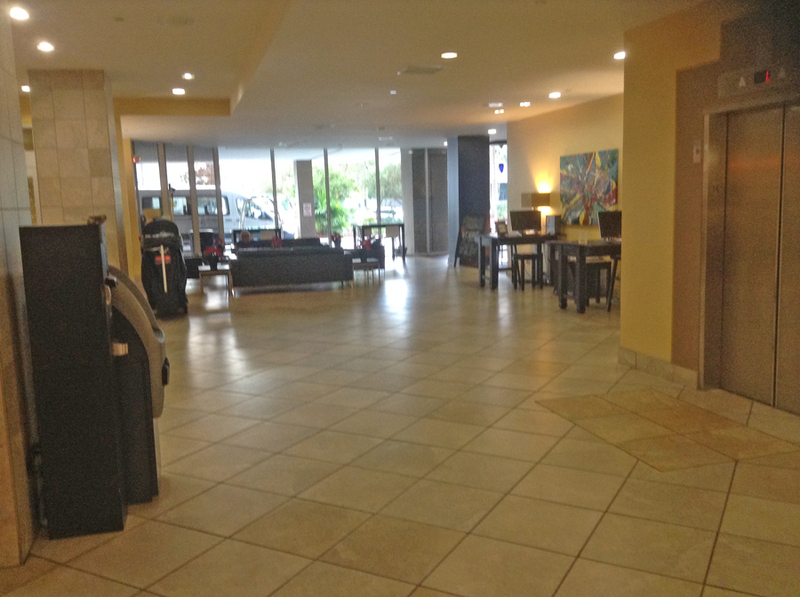 Inside, the lobby is spacious and open. It ,too, is filled with art. The Barrymore is owned by HR development AKA, the Callen family, who has their office onsite. 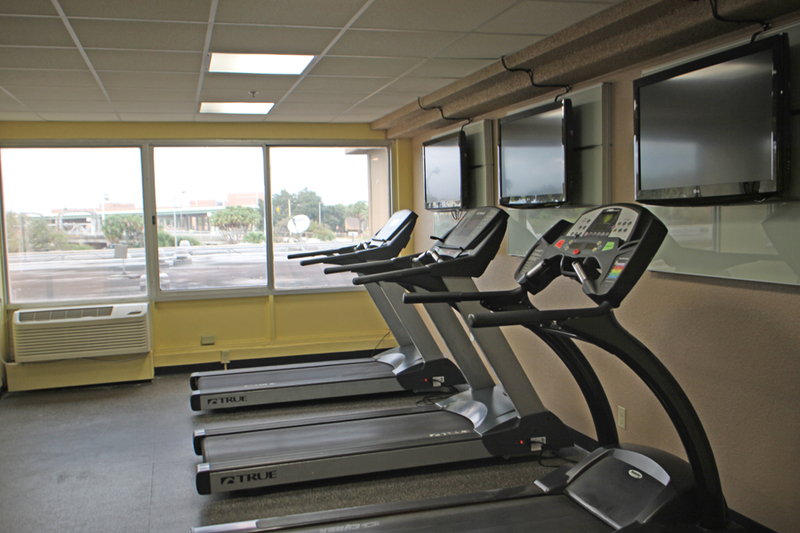 Perhaps this explains the staff's friendliness and the hotel's immaculate condition. 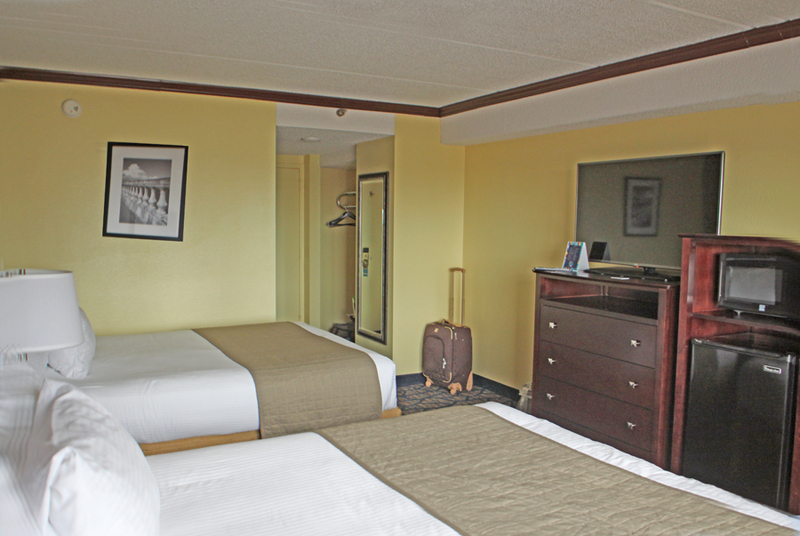 All good reasons to choose this boutique hotel. I spoke to Richard Marco, Sales Manager who explained why Barrymore broke away from its chain just about a year ago. "It leaves us free to try some of the programs we want and some of the things we do." Richard showed us some of the new things they are doing. He pointed to the colorful paintings adorning the walls. "We are trying to embrace Tampa's art culture. 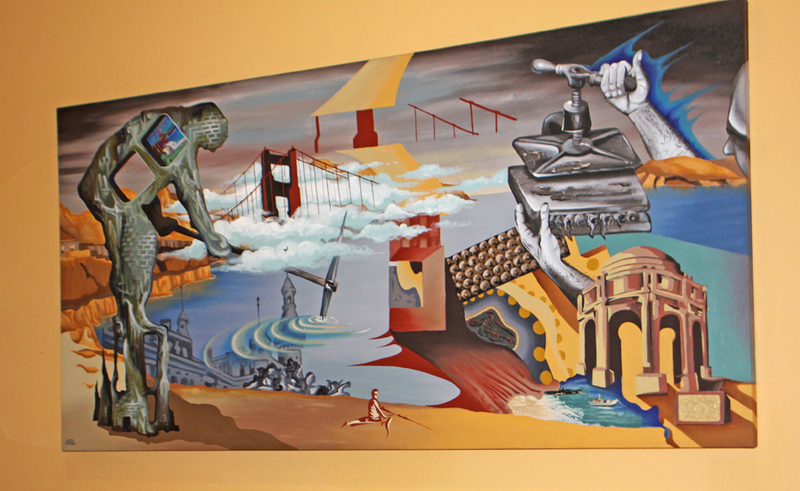 All the art you see around the hotel is from local artists. The front desk has price lists. 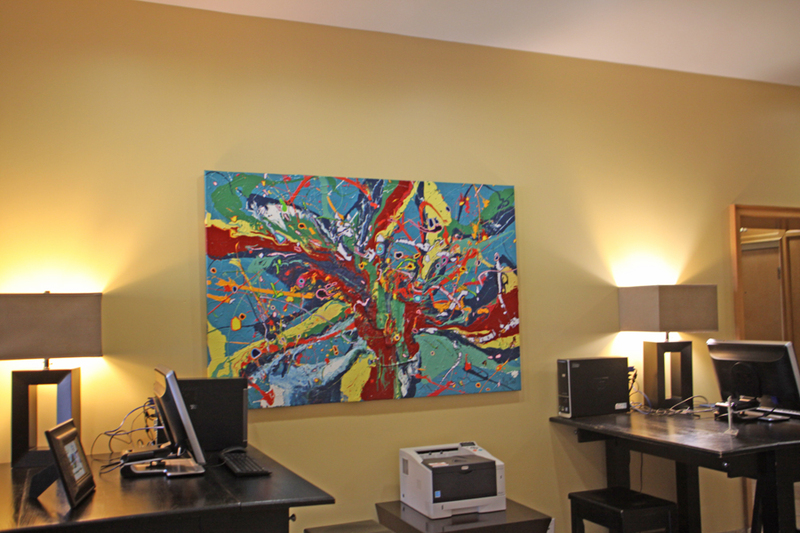 It helps us by displaying their work and the artists have a place to show their work." Another unique factor is The Barrymore provides some dormitory rooms for some students at University of Tampa. Instead of creating a dormitory feeling, the students lend a bit of vitality to the place. One of several little nooks where a patron can relax is furnished with long tables and offers a quiet space where the students can study and relax. Their dining faculty is the Waterworks Bar and Grill is another unique idea born of the Barrymore's independence. It's presided over by Executive Chef Rusty Evers, previously executive chef at David A. Straz Jr. Center for the Performing Arts' restaurant before she moved next door to the Barrymore. 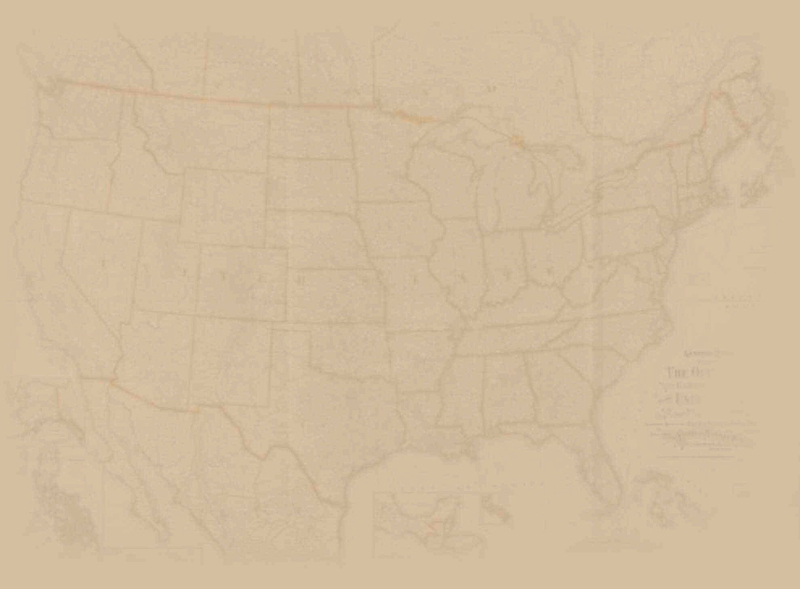 Chef Evers roots go back to the Deep South. She grew up in New Orleans and attended a New Orleans culinary school. In the culinary field, she has "been there done that," from her own prestigious catering company called The Art of the Feast, to cooking all over the United States, Australia and London. 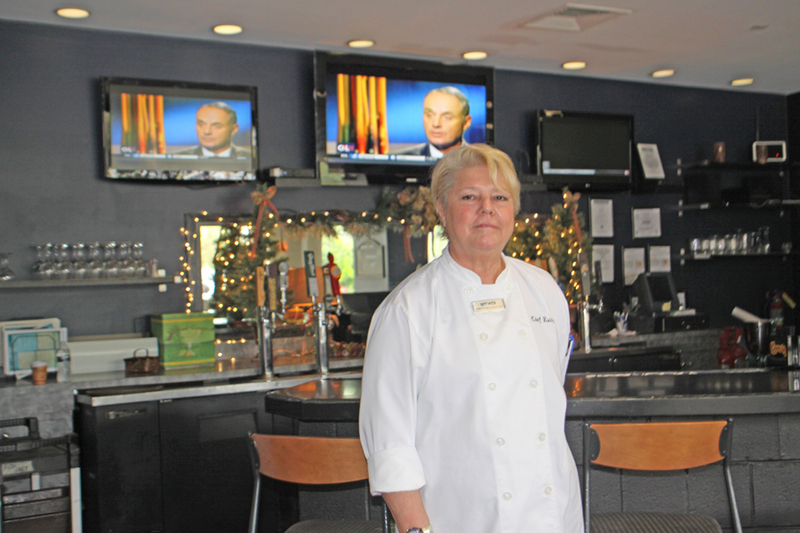 Chef Evers has completely revised the menu at Waterworks incorporating her New Orleans style and gourmet touch. She creates her dishes based on her inspiration the day which provides an innovative and fresh menu all the time. Another unique factor that Richard pointed out is their Community Table. He stated, "People absolute love it since it offers a great opportunity to share stories with other lone travelers." The bar matches the rest of the restaurant in being fun and different. There are ten different tap beers all from Florida and most from the Tampa area. Topping it off there is a large pool, fitness center, two computer business center setup, free WiFi and because they own their own parking lot they can offer more economical parking. 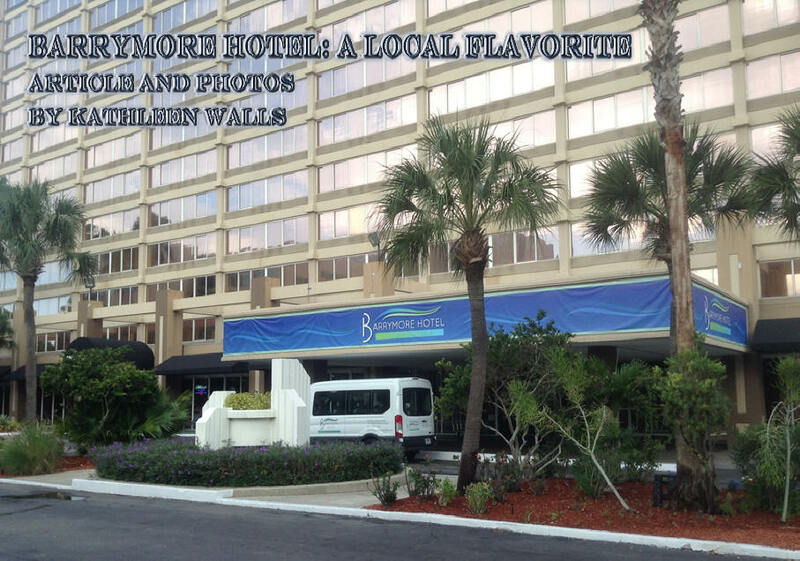 Since parking is a biggie in Tampa, the hotel offers complementary van transportation to places within two miles of the hotel. 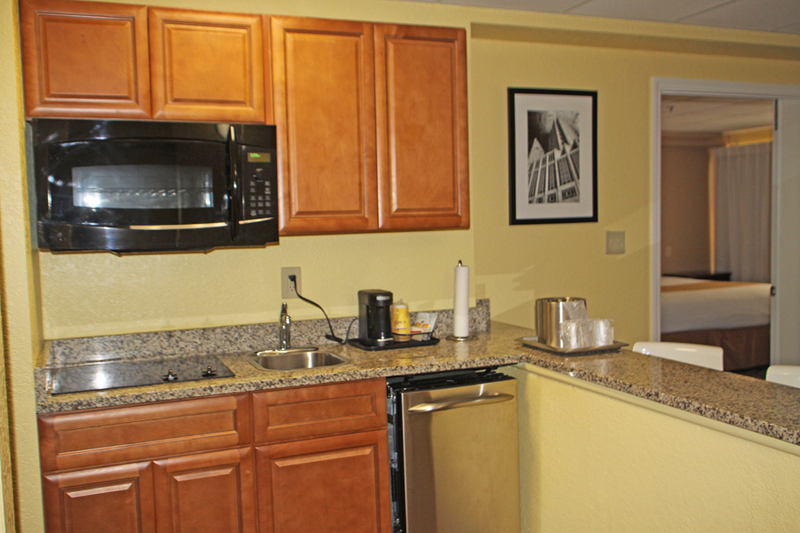 The Barrymore is a member of Florida's Green Lodging and a bronze level Green Leader on Trip Advisor. The Riverwalk, just outside the hotel, is one of Tampa's newly developing attractions. The LED lighting on many of the buildings along the Riverwalk provides a great night view from the rooms which all have either river or city views.